As the progression of the low-carb, high-fat message continues to make waves amongst patients who are seeing dramatic changes in their weight and health, it makes you wonder how so many physicians and other medical professionals can continue to ignore this. 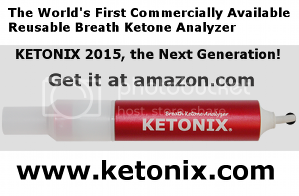 From weight loss to diabetes and cardiovascular risk markers all improving on a well-formulated ketogenic diet, it seems any primary care doctor would want to welcome in another invaluable tool to their arsenal of providing the very best care for the people who come to see them. That's exactly what happened for a physician in Lafayette, Indiana named Dr. Sarah Hallberg who took it upon herself to get educated on how carbohydrate restriction could help her see the desired results in her patients. The phenomenal results she began seeing was proof positive this was the right direction for her to shift her practice from being a primary care physician to become the medical director and founder of the Indiana University-Arnett Health Medical Weight Loss Program where our host Jimmy Moore spoke to Dr. Hallberg's patients in 2014. Dr. Hallberg is very effective at communicating through her popular teaching videos she posts at her "Fitter U" website which caught the attention of the TEDx people who asked her to speak at their 2015 TEDx PurdueU event (watch Dr. Hallberg's incredible presentation on reversing Type 2 diabetes below). 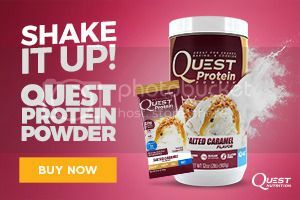 Reversing Type 2 diabetes starts with ignoring the guidelinesHAVE YOU TRIED THE NEW QUEST PROTEIN POWDERS?